NEWPORT NEWS, Va., April 11, 2014 (GLOBE NEWSWIRE) -- Huntington Ingalls Industries (NYSE:HII) announced today it will conduct a study with Kinder Morgan Energy Partners, L.P. (NYSE:KMP) to explore redeveloping Huntington Ingalls Industries' Avondale shipyard in Louisiana. Since the July 2010 announcement to close Avondale, HII has aggressively sought a strategic solution to redevelop the facility. The study will explore and evaluate best-use opportunities for the facility. Once the study is completed and a determination has been made for an economically viable, best use of the facility, HII and Kinder Morgan Energy Partners may pursue the formation of a joint venture to re-purpose the Avondale site. Avondale's location on the Mississippi River offers unparalleled access to major markets by truck, rail and sea, making it attractive for many uses. Statements in this release regarding our plans and expectations constitute "forward-looking statements" within the meaning of the Private Securities Litigation Reform Act of 1995. Forward-looking statements involve risks and uncertainties that could cause our actual results to differ materially from those expressed in these statements. 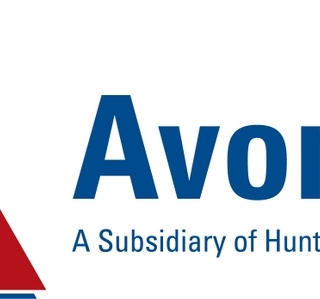 Factors that may cause such differences include future developments that could impact our decisions regarding Avondale and other risk factors discussed in our filings with the U.S. Securities and Exchange Commission. There may be other risks and uncertainties that we are unable to predict at this time or that we currently do not expect to have a material adverse effect on our business, and we undertake no obligations to update any forward-looking statements. You should not place undue reliance on any forward-looking statements that we may make.